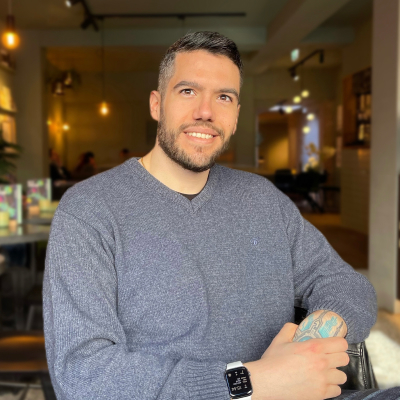 Alex Styl (short for Alexandros Stylianidis) is a Software Engineer in Apple London and one of the people behind the GDG Android Athens community. Alex has a strong technical background in Computer Science as well as design having both academic and industrial experience. I have a great interest in human-computer interactions and how we can create interactions that enhance our everyday lives. In 2014, I studied how people use technology and researched new ways of improving it in the University of Birmingham, where I graduated with a MSc in Human-Computer Interactions. My final project was focused on ubiquitous computing and cross-device interactions, which was later published and presented in CHI2017’s Late-Breaking Work. I am an active member of the Android community, contributing with blogposts, conferences and meet-ups worldwide. You can find my talks on speakerdeck. I am involved in the organisation of DesignLab London. It’s our monthly design meetup with design talks of different fields of digital design. Hobbies include sketching and photography and sometimes tinkering.